Classic Instruments introduces the Bel Era III Package for your 1955-1956 Chevy! Classic Instruments releases the '73 - '87 Chevy/GMC Truck Package! 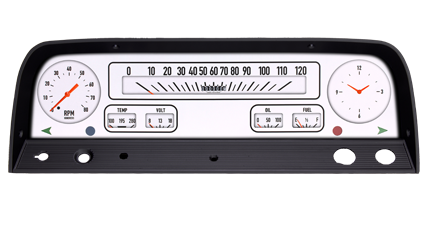 VDO adds Agricultural and Industrial gauges to the Series 1 line of instruments! Classic Instruments announces the 1964 - 1966 Chevy Truck Package! All new cab to trailer harness for VDO Camera Systems! 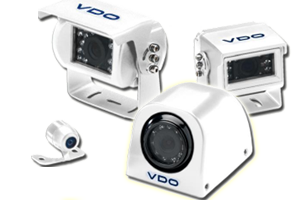 Introducing the VDO Camera System now available in white! VDO's Allentare marine gauges provide an ideal, cost effective solution for new boats or drop-in replacement gauge for older boats. Allentare gauges are designed to work with most commonly found marine senders and wiring harnesses used today. Classic Instruments' Bel Era III direct-fit package offers the perfect combination of all-electric technology and the nostalgic stock look of 1955-'56 Chevys. The new direct fit package is the perfect way to upgrade the interior of your classic Chevy! This package features a Speedometer, Fuel, Oil, Temperature, and Volts gauges in your choice of four styles. 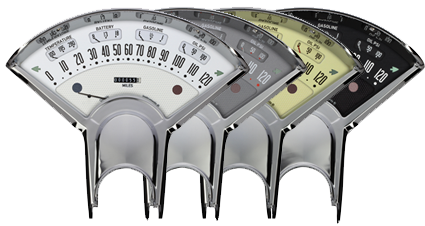 Classic Instruments' direct-fit cluster features a speedometer and tachometer, and fuel, oil, temperature, and volt gauges. The all-electric cluster arrives ready to install directly into the stock dash of '73-'87 trucks, Suburbans, and Blazers, with ease! Everything needed to install the package is provided in the kit including a new lens and all necessary sending units. VDO has expanded their Series 1 line of instruments! Series 1 now includes Agricultural and Industrial instruments. The housing of these instruments is up to 50% shorter making them ideal replacements for tractors, gen-sets, fork-lifts, and other similar equipment where traditional mechanical instruments will not fit. 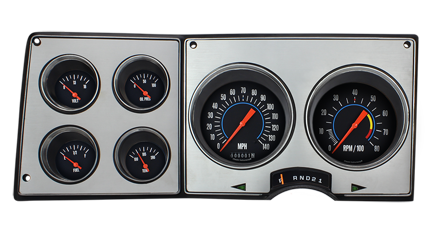 This Classic Instruments Direct-fit cluster features a speedometer, tachometer, fuel, oil, temperature, and volts gauges, and a 12V quartz clock decked out in one of four color schemes: Black, Tan, White, or Gray. The all-electric cluster with easy snap-in wiring harness arrives ready to install directly into the stock dash of 64-66 trucks. Everything else needed to install the package is provided in the kit including a scratch-resistant acrylic lens and all necessary sending units. 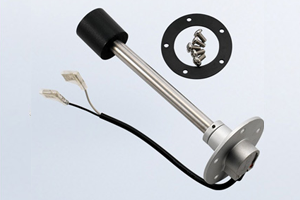 We have added Reed Switch senders to our extensive line of VDO fuel senders, featuring stainless steel immersion tubes, SAE 5 hole mounting flange with gasket, and .250 in. insulated spade connectors. 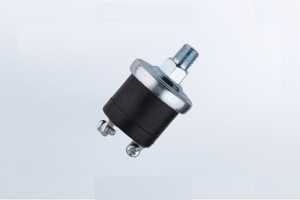 We are pleased to announce that we have expanded our line of VDO pressure switches to now include 2PSI and 10PSI versions. 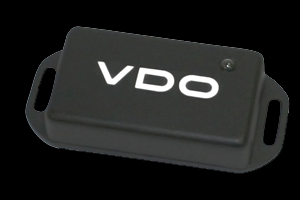 Unlike the competition, which averages 8K-16K pulses per mile, and gets a pulse every eight (8) inches, the VDO GPS Speed Sender emits 200K pulses per mile, delivering a pulse every 1/3 inch. Additionally, the VDO Sender receives signals from up to eight (8) satellites. VDO GPS Speed Sender is ready for use right out of the box and only needs to be connected to power and ground. It does not require transmission cables or calibration, and no buttons or switches need to be activated. Introducing the VDO Camera System now available in white! Get all of the same benefits and functionality of the original VDO Camera system in a new, stunning white housing. This housing is UV protected and blends perfectly with your car or boat.